New team colorways from Independent Skateboard Trucks. 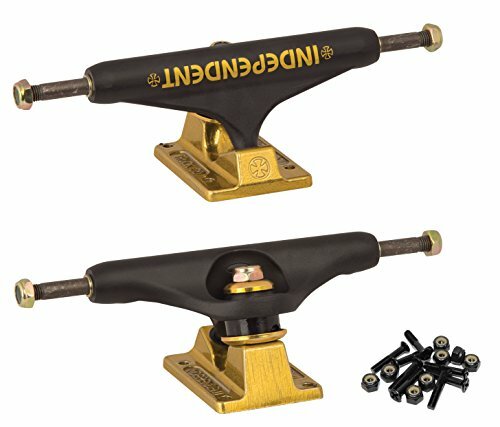 The black and gold Bar Cross Stage 11 standard trucks feature a matte black hanger and a black baseplate with a metallic gold ink Bar Cross logo, gold hardware as well as black cushions. Includes a set of DimeBag Hardware (1" Phillips Bolts with Mounting Nuts). Includes a set of DimeBag Hardware (1" Phillips Bolts with Mounting Nuts).